Remake. Remake. Remake. Why can’t we have nice new (and original) things? Oh well. 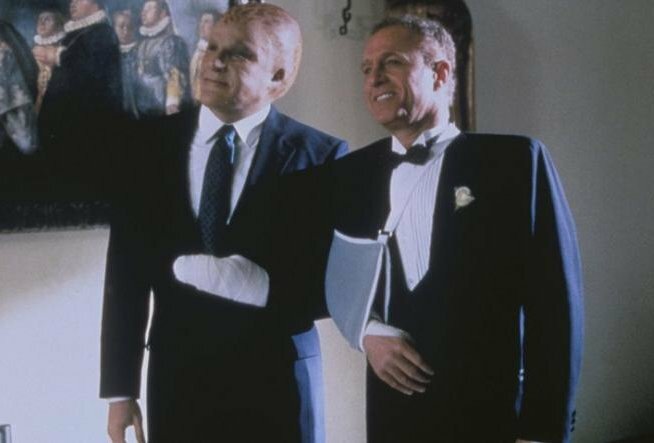 In 1988, 20th Century Fox released Alien Nation. A few years later it was a short lived TV show. Nearly 30 years later, Fox has taken the first steps to producing a remake. According to The Hollywood Reporter, the studio has hired two writers for the script for the new film. The original film starred James Caan and Mandy Patinkin. Basically it involved alien refugees being forced to immigrate to Earth and live alongside humans. The aliens were called Newcomers and didn’t exactly have equal rights to humans. The two central characters were police officers. One alien, one human. The first film this time around will be an origin story that explains how and why the aliens arrived. Even though we have already seen this. Damn it Hollywood. If you make QUALITY ORIGINAL movies you WILL make money. Get it through your thick heads.